Posted on November 7, 2011 by Big Red	in Movie Booty and tagged bernie madoff, casting news, de niro to play madoff, film news, films, hollywood plans to make madoff film, movie news, movies, robert de niro, the telegraph. The Telegraph is reporting that Hollywood actor Robert De Niro has been slated to star in a movie about Wall St swindler and convicted fraudster Bernie Madoff, a man who cheated thousands of investors in his Ponzi scheme out of a collective $50bn. “Wow, what an honour. Yeah, thanks. This was a terrible story, a story about the actions of one man which we all felt just had to be told and our sympathies are with the thousands of people who were left financially ruined through the actions of that one man. But f@ck you guys I just won an Oscar! Apparently HBO have bought the rights to the book “Truth and Consequences: Life Inside the Madoff Family“, a book incidentally penned with the co-operation of Madoff’s son Andrew and other family members, who have yet to confirm or deny that they’ve received royalties for collaborating. 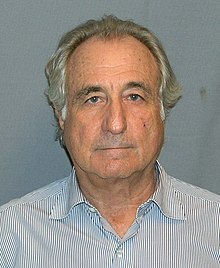 Yes we know Madoff will never see the light of day, (he was sentenced to 150 years), and that his son Mark was so ashamed of his father’s crimes he committed suicide, but you know, you just f@cking know that a ruthless, egotistical, narcissist like Bernie Maddof will relish the fact that his life will be immortalised on the big screen by arguably one of the greatest actors of a generation. ← Michael Bay Trailer For Need For Speed: The Run.